A couple of months ago in Avian H10N7 Linked To Dead European Seals, I wrote about the recent die off of seals in Denmark and Germany and the determination that their deaths were the result of a combination of avian H10N7 influenza, pneumonia, and bacterial infection, which I followed up last month with a report in Eurosurveillance: Avian H10N7 Influenza In Harbor Seals. In 2011 we saw a similar die off of seals in New England which was eventually linked to a different avian flu virus (see New England Seal Deaths Tied to H3N8 Flu Virus). While we normally concentrate on novel avian and swine influenza strains, the appearance and transmission of (avian-origin) influenza viruses in marine mammals raises concerns because they often show signs of mammalian adaptation – which may indicate a greater threat to humans down the road. In 2012, in mBio: A Mammalian Adapted H3N8 In Seals, we saw evidence that that particular avian virus had recently adapted to better bind to alpha 2,6 receptor cells, the type found in the human upper respiratory tract. Although known human infections with avian H10N7 are limited, we’ve discussed them previously on several occasions . In 2004, the first known human infections were reported among two Egyptian toddlers, as described in the WHO/CDS/CSR/RMD report Avian Influenza Virus A (H10N7) Circulating among Humans in Egypt. And again, in 2012, in EID Journal: Human Infection With H10N7 Avian Influenza, we looked at a limited outbreak among workers with only mild symptoms at a chicken farm in Australia. 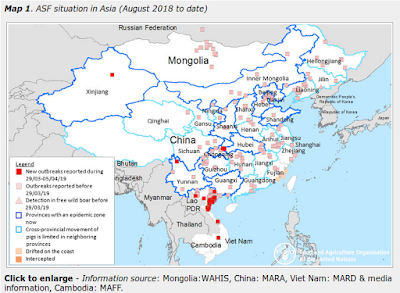 While not H10N7, we saw three severe infections with an H10N8 virus in China last winter. Today we’ve a statement from the Swedish Agency for Marine and Water Management (SwAM) indicating that the number of dead seals – previously estimated at around 700 – is likely a huge undercount. They estimate as many as 3,000 seal deaths likely due to H10N7. Year to date, approximately 3000 harbor seals in Swedish and Danish waters died, probably infected by bird flu virus H10N7. Marine and Water Authority, Sea, is now 245 000 SEK to the Museum of Natural History in order to get more samples of sick and dead seals. In April this year, the first reports come in of sick and dead seals along the west coast, mainly in the Gothenburg archipelago. Researchers from the National Veterinary Institute and Museum of Natural History in Stockholm has taken samples of the dead seals. In October, scientists have estimated that it concerned a total of 700 dead animals in total, both in Sweden and Denmark, and that most likely died of bird flu virus H10N7. - Today, researchers know that significantly more common seals died than those found washed ashore along the coast. Most people who become infected and died fell into the sea, it shows the results from the flyginveteringar made, says Susanne Folds, investigators at the CBD on the seas. It is probably also the case that most seals infected but the majority have been able to form antibodies against the virus. 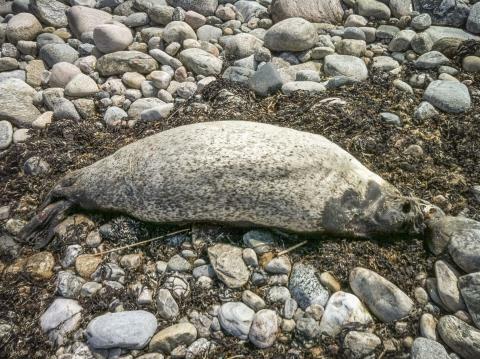 Even in Germany has during the year found more sick and dead harbor seals than normal. - Still, we have not the complete picture of how many seals affected, nor exactly how the infection has spread. We therefore spends money to enable researchers to continue sampling and mapping, says Susanne Folds. So far this year, only West Coast hit by the seal death in Sweden and it is just about the harbor seal, we have not received reports of dead gray seal. Whoever finds dead seals should first contact the municipality where the find has been made and secondly Museum of Natural History.